Legacy Funding is application based grant program that allows Minor Hockey Associations, clubs, leagues or regions to create their own development initiatives with a main focus on player, coach, official or volunteer recruitment and retention. 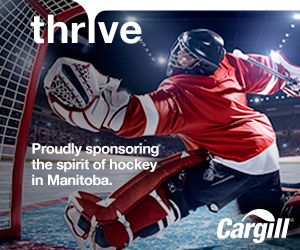 The Development Legacy Fund was established by Hockey Manitoba to support hockey development projects. Funding will be directed (but not limited) to programs developing or training coaches, officials and/or volunteers. Additional informational programs such as educational seminars or summits will also be considered. In most cases, applicants will not be permitted to charge participant fees to attend approved projects under the Development Legacy Fund. Hockey Manitoba will accept applications from all organizations that are recognized as members in good standing. A maximum of one application may be submitted per year and applicants must contribute a minimum of 25% towards the cost of the project. Applications will be reviewed twice annually and deadlines for submission are August 15th and December 15th. This fund is directed towards, but not limited to development of female hockey projects.